In a large resealable plastic bag, combine cheese, broccoli and vinaigrette. Seal bag and turn to coat; refrigerate 4 hours or overnight. Drain cheese and broccoli, reserving vinaigrette. 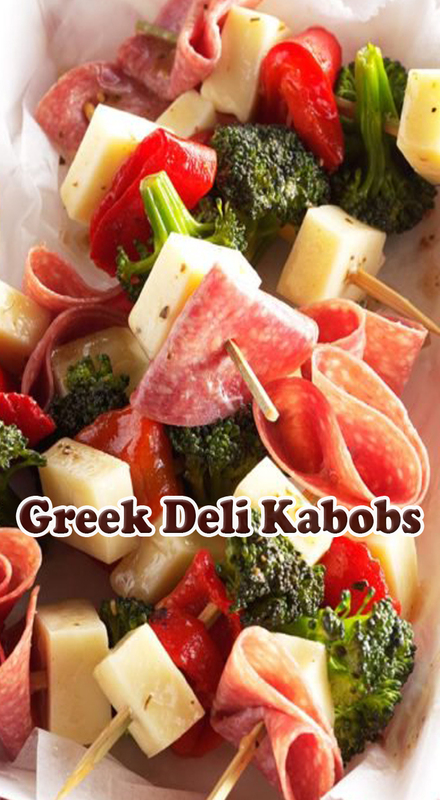 On 24 appetizer skewers, alternately thread cheese, salami, broccoli and peppers. Brush with reserved vinaigrette.